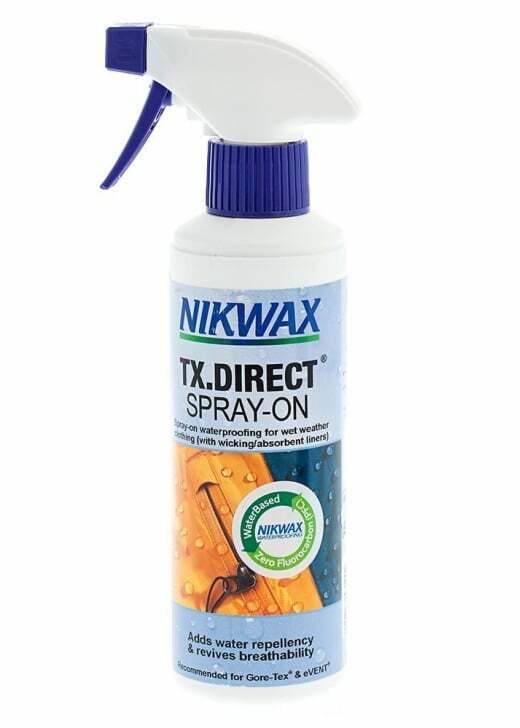 The Nikwax TX.Direct® Spray-On is easy and quick to apply, and its highly water repellent nature develops on air drying. The Nikwax TX.Direct® Spray-On is easy and quick to apply, and its highly water repellent nature develops on air drying. Nikwax TX.Direct® Spray-On has been specifically designed for breathable waterproof garments; it leaves a flexible water repellent treatment on individual fibres allowing moisture vapour to pass through, maintaining breathability. 2. Hold bottle 15 cm/6 inches away from garment.